ADATA introduces its fastest gaming solid-state drive – the ADATA XPG GAMMIX S11. The GAMMIX S11 solid-state drive uses the compact M.2 2280 form factor with a stylish heat sink that offers effective passive cooling to the SSD compared to bare SSDs. The GAMMIX S11 uses the ultra-fast PCIe3x4 interface to enable the SSD to perform at blistering speeds of 3200MB/s read and 1700MB/s write. With such read and write speeds, the XPG GAMMIX S11 is ideal for users that demand a very responsive system for gaming or for professional content creation. 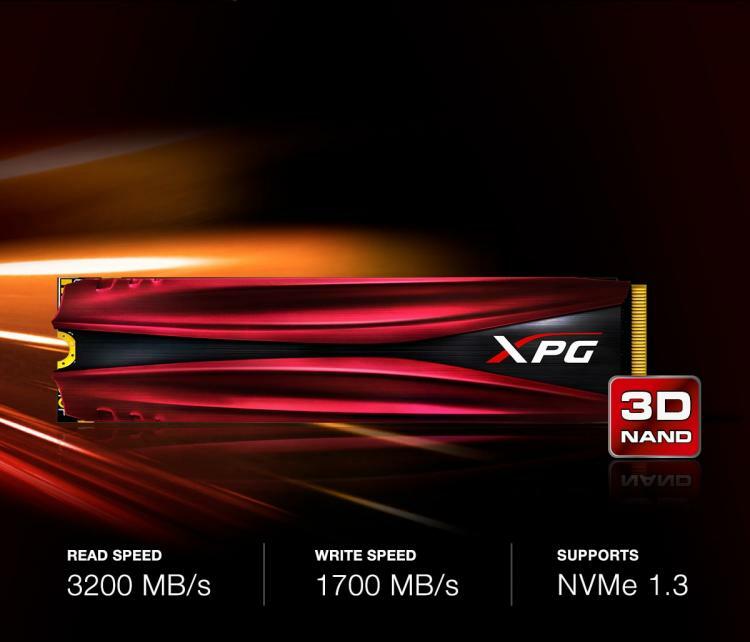 The XPG GAMMIX S11 SSD uses the 2nd-generation 3D NAND Flash with improved reliability along with performance. The GAMMIX S11 is available in capacities of 240GB, 480GB and 960GB. The GAMMIX S11 solid-state drive uses the ultra-fast PCIe3x4 interface and NVMe 1.3 protocol to deliver read speeds of up to 3200MB/s and write speeds of up to 1700MB/s. The GAMMIX S11 also uses a 32bit DRAM data bus, DRAM cache buffer and Intelligent SLC Caching that boosts sequential speeds and 4K random read/write speeds. ADATA packs the GAMMIX S11 with a stylish and effective heatsink to keep the SSD cool even at intensive writing actions by at least 10°C compared to bare M.2 PCIe SSDs. The XPG GAMMIX S11 SSD uses the 2nd-generation of 64-layer 3D NAND flash that’s more reliable and longer lasting along with the improved performance. For data protection, the GAMMIX S11 features advanced LDPC error correction. It also has a lifespan of 2 million hours MTBF. To certify its improved reliability, ADATA covers the XPG GAMMIX S11 SSD with its extended 5-year warranty. For more information, visit the XPG GAMMIX S11 SSD product page at the ADATA website.